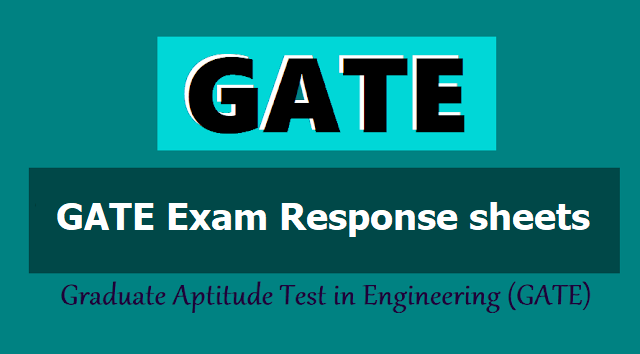 GATE 2019 response sheet released at gate.iitm.ac.in, Candidates response for exams conducted on February 2 and 3 can be downloaded at gate.iitm.ac.in. The last exam for GATE 2019 will be concluded on February 10, 2019. GATE 2019 response sheet: The Indian Institute of Technology (IIT), Madras has released the candidates’ response sheets for Graduate Aptitude Test in Engineering (GATE) for the exam held during session 1, 2, 3 and 4 on its official website, gate.iitm.ac.in. These exams were conducted from February 2 and February 3, 2019. The last date of GATE 2019 exam is February 10, 2019 (session 8). The exam was held in two shifts, first on February 2 and 3 and second on February 9 and 10. The responses for the second shift are expected to be released soon as well. Candidates can download their scorecard from the official website from May 31, 2019 onwards. Any kind of Calculators, Beepers, Pagers, Mobile, Cell, Phones or any other Electronic Devices are strictly prohibited in the Examination Hall.